Man Utd boss Jose Mourinho will reportedly take scouting matters into his own hands to run the rule over two potential transfer targets. The Red Devils have had a difficult start to the campaign, with their inconsistency in the Premier League leaving them languishing in eighth place after eight games. Their poor form has left them seven points off the pace set by the leaders early on, while question marks have been raised over their ability to compete for major honours given the weaknesses that have been exposed already this season. In order to rectify those problems, The Sun, via Telegraf, claim that Mourinho has set his sights on two transfer targets and will go to scout Fiorentina defender Nikola Milenkovic and Lazio’s Sergej Milinkovic-Savic this week when Serbia face Montenegro on Thursday. It’s suggested that the latter is valued at around £90m alone, and so coupled with Milenkovic’s likely hefty price-tag given his impressive performances for the Viola, it will easily cost Man Utd well over £100m to sign the pair if they impress Mourinho. Milenkovic, 20, has yet to miss a single minute of action for Fiorentina in Serie A this season, while also scoring two goals in eight games as he has proven to be a solid addition to their backline. Given Mourinho has been desperate to bolster his defence since the summer, as noted by The Independent, Milenkovic could ultimately now emerge as a potential solution. As for his compatriot, the 23-year-old enjoyed another stellar campaign last season as he continued to emerge as one of the most sought-after and talented individuals in Europe. Milinkovic-Savic scored 14 goals and provided nine assists in 48 appearances in all competitions, and given he could significantly bolster United’s midfield alongside the likes of Paul Pogba and Nemanja Matic, it could be a very sensible signing. 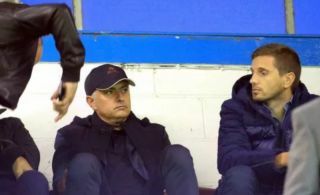 However, time will tell if Mourinho is firstly convinced by the duo when he sees them up close, and following on from that, if Man Utd can agree on terms to snap the pair up.